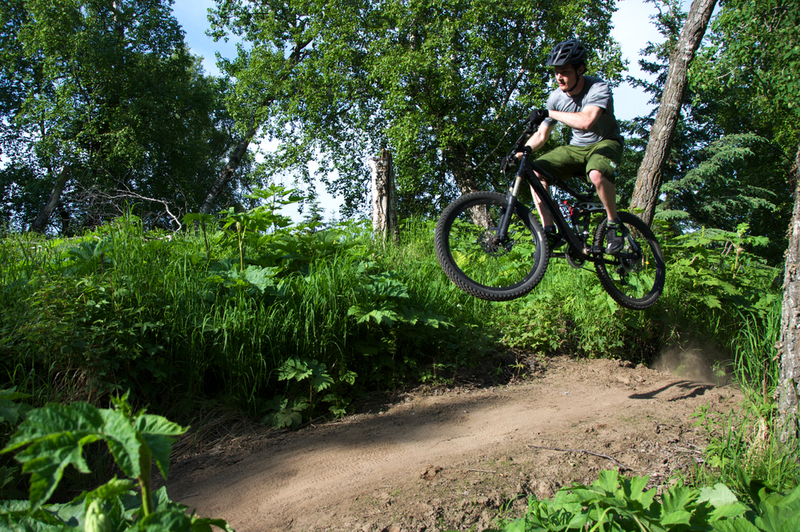 Since 2004, STA has raised hundreds of thousands of dollars, organized an army of hundreds of volunteers and motivated the Anchorage community to build and maintain almost 30 miles of singletrack mountain biking trails. In 2008, STA built eight miles of singletrack trails at Hillside. In 2011 we built nine miles of trail at Kincaid park, with another seven miles miles completed in 2014. STA built an additional 4.5 miles of trail at Hillside in 2018. We now have all of our trails on Trailforks powered by Pinkbike. This website will show the location, grade difficulty (IMBA scale), GPS location and the ability to create your own ride log to download and navigate via their iPhone or Android app. Please use this website to help us keep our trail in great and ridable shape. We are now using the trail reports from the website to direct where our trail maintenance efforts will focus and what needs urgent care. Click the link below to navigate to either the Hillside or Kincaid trail centers. Email or post on Facebook, Instagram, Pinkbike, or other social media platforms any photos or videos you want to share about our trails and we'll post them to our page, you can add the hashtag #singletrackadvocates to ensure that we will be able to quickly find your posts. Below are a few videos and photos for your enjoyment.